Presently, Dr. Minugh holds an adjunct faculty position at the Brown University Center for Alcohol and Addiction Studies Department of Community Health. In this capacity, Dr. Minugh served as co-investigator on a Brown University, NIAAA-funded brief intervention study of injured emergency department patients with hazardous drinking histories. She currently leads the data management activities as the Data Management Team Lead of CSAP’s Data Analysis Consolidation and Coordination Center. Previously, Dr. Minugh held a faculty appointment at Harvard Medical School and served as the primary technical advisor for the National Technical Center for Substance Abuse Treatment Needs Assessment. Dr. Minugh received her doctorate in behavioral health psychology from the University of Rhode Island and completed advanced training in addictions research by completing the NIAAA-funded post-doctoral fellowship at the Brown University Center for Alcohol and Addiction Studies. In addition to her faculty appointment at Brown University, Dr. Minugh also holds an appointment on the Wyoming Governor’s Council on Substance Abuse and Violent Crime where she chairs the Violence Subcommittee. Previously, Ms. Janke developed, implemented and managed a variety of programs across the treatment service continuum for both privately and publicly funded treatment and prevention agencies. Working in both funding sectors provided an unparalleled opportunity to work with culturally and socio-economically diverse populations requiring a full spectrum of services. 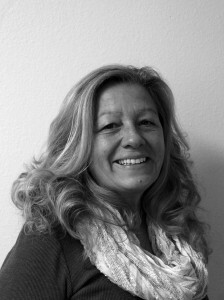 In consultation with leading researchers, Ms. Janke gained extensive experience in the development, operation, and evaluation, of effective treatment programs, and continues to apply this knowledge as a sought after treatment improvement consultant. 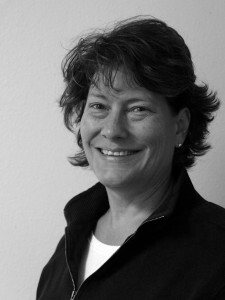 Ms. Janke serves as project manager for all treatment-related projects. She has worked with many State level administrators, and treatment center executives to develop “Comprehensive Treatment Centers”, capable of providing evidence-based practices for the entire continuum of care. A ‘science to practice approach’ utilizing continuous quality improvement techniques is embraced, and Ms. Janke regularly uses these skills to help leading treatment centers assess their program structure, staffing, and effectiveness. Ms. Janke has also directed treatment outcome evaluation studies that have documented significant improvements in levels of substance use and crime, and has used this information to help professionals understand how treatment affects their clients. Ms. Janke received her Master’s degree in Counseling Psychology from the University of Rhode Island, and her Bachelor’s degree in Health Education from the University of Illinois at Champaign-Urbana.